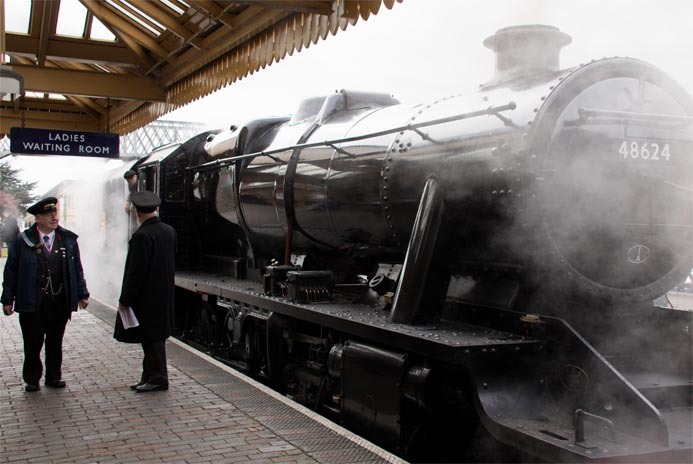 This 8f had come from the Great Central Railway for this Gala. 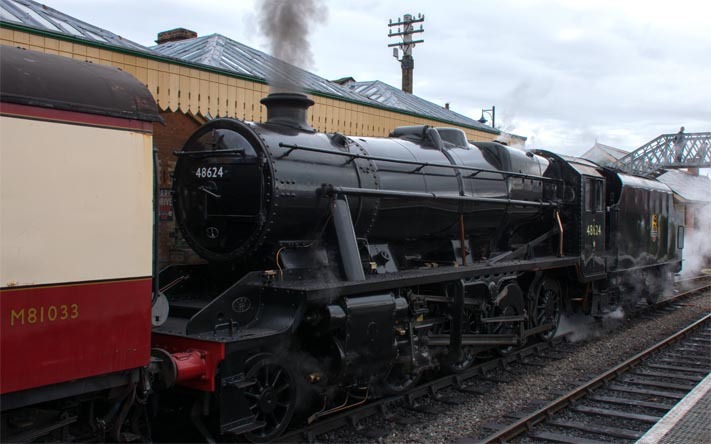 This locomotive is now painted in British Railways Black. It's still a bit clean, but it will soon dull down. This locomotive was painted in LMS maroon livery, a colour it was never painted in while in mainline service. 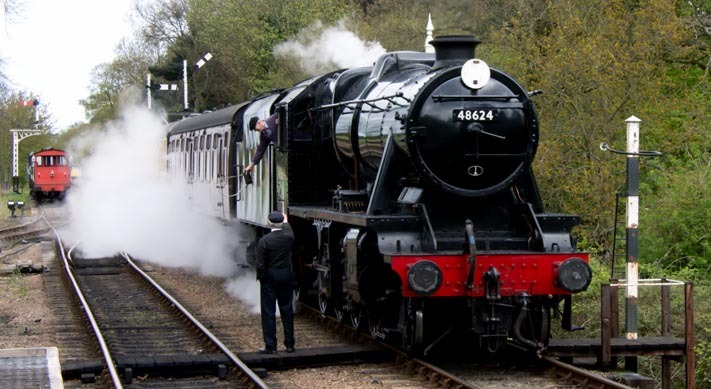 It looked smart, but it was wrong for a heavy goods steam locomotive. 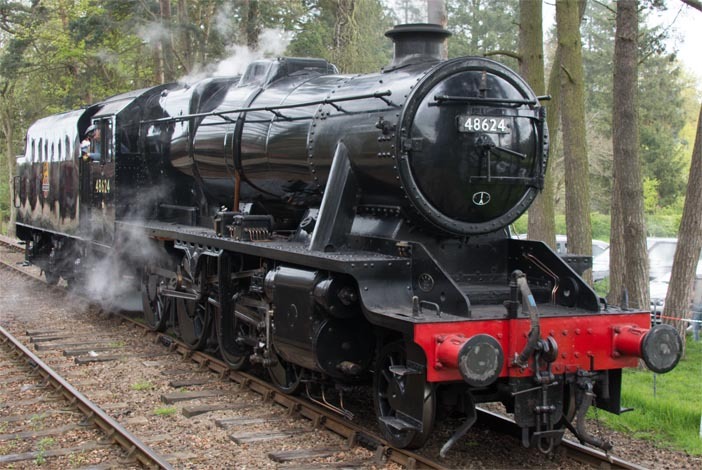 This 8F was one of the 8Fs built at Ashford Works in 1943. 8F 48624 2-8-0 at Sheringham station on Saturday 22nd April in 2017. 8F 48624 2-8-0 coming into Holt station with the fireman holding the token ready for the signal man on Saturday 22nd April in 2017.